Church Grounds Coffee, LLC is a business focused on lending a helping hand to others worldwide. The owners of Church Grounds Coffee, LLC are committed to donating a substantial amount of profit to humanitarian causes with global impact. A purchase from Church Grounds Coffee, LLC offers you coffee harvested in the Valle de la General, which includes the inland towns of San Isidro de General, Buenos Aires, and San Vito. This location is the center of one of Costa Rica’s most fertile coffee-producing areas. 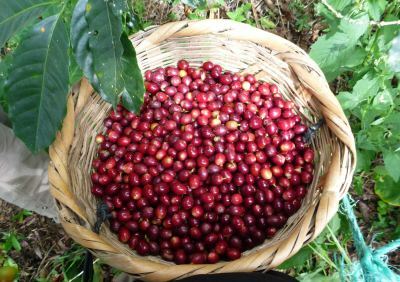 You will not only enjoy the very best coffee from the Valle de la General in Costa Rica; but, an opportunity to share in aiding global humanitarian causes. Please take a moment to read the “Back Story.” You will learn how we were inspired to develop Church Grounds Coffee, LLC and our direct involvement with the coffee growers of Costa Rica. You will also learn about Church Grounds Coffee, LLC efforts to fund the purchase and installation of clean water filtration systems in developing countries. Then read about Church Grounds Coffee, LLC program plan that provides a pathway to organizations to not only raise funds for their group, but lend a helping hand to others. Your purchase of Church Grounds Coffee, LLC will benefit a humanitarian cause and boost your organization’s treasury. This is a domino effect business with tremendous impact. Whether you purchase one bag or multiples, you make a difference in this world. Please check our catalog and place an order today. Church Grounds Coffee, LLC does not disappoint.